builder of custom theatres and screening rooms of any size and specification. Whether you want a curved screen, the new experience, or completely custom theater configuration, we can help you make your vision a reality. 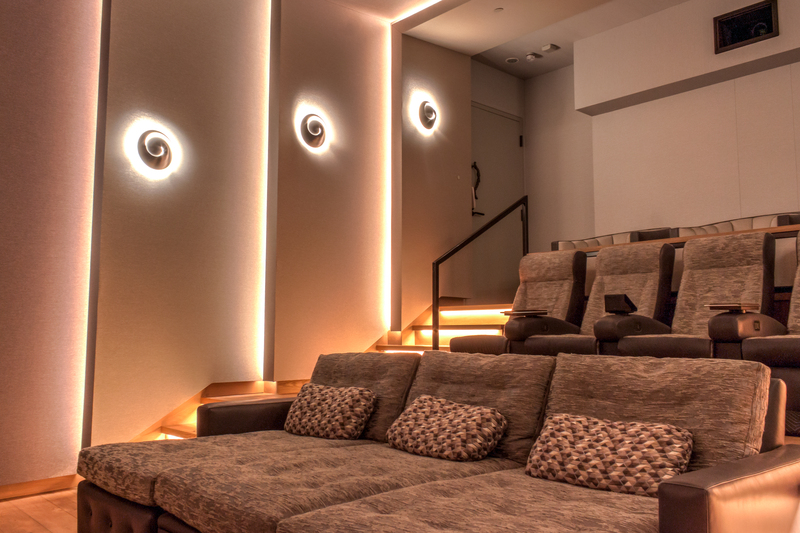 Our clients range from studio executives who require a reference level screening room in their home or office, to the movie aficiando who simply wants to have the best movie experience without leaving their home. Whatever level of theater you want we can design, build, and outfit your theater. Cinergy works with the best theater designers and AV integrators to provide a truly one of kind theater design with the highest audio visual performance. If you have your own team already in place we can help coordinate all the AV and room finishes to ensure the room is not only finished beautifully but also takes acoustic performance into consideration. Cinergy Construction is a General Contractor that provides complete theater construction from the acoustic shell to the high end finishes. We work with some of the leading theater designers, A/V dealers, and acoustic consultants in the country, building and finishing the finest theaters. We create beautifully designed and constructed theaters, with the acoustics to match. Cinergy provides acoustic modeling and analysis that give you theater with a science based acoustic layout. The result is the richest immersive sound performance design specifally to your seating layout and theater design. Cinergy will manage everyone involved with the theater and decisions required to complete the theater. This gives you one point of contact from start to finish. We can bring in our team or work directly with your team. We are flexible and focused on the best end result. Cinergy Construction is a California based specialty construction and finishing company that has offices in Southern California and San Francisco. We build custom theatres, sound spaces, and build out residential and commercial specialty spaces that require sound mitigation, acoustics, custom finishes and a meticulous attention to detail. Provide your email for updates on Cinergy Construction.